Care is a journey, from diagnosis and care at home through to end of life. And on the way we will all encounter a variety of care providers. We want them to know us and to deliver care to us on a personalised basis. But to do that they need personal information. But how can we be sure that this valuable, personal and sensitive knowledge is responsibly managed and used. That’s where ReMeVault comes in. 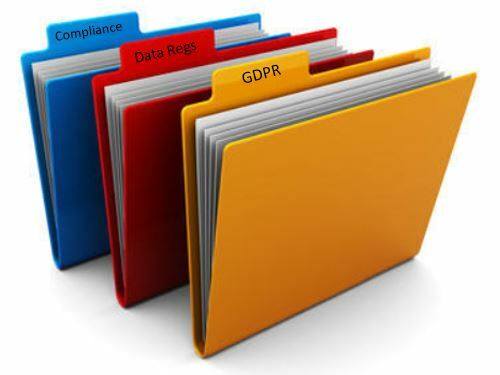 Data Hosting – Electronic Life Records are hosted on secure servers, that are compliant with the most stringent standards, including the UK’s NHS G Cloud compliance requirements and Ico. Data Portability – As the knowledge of the person cared for grows in the data vault, it becomes more important to the care process. And as residents encounter different care facilities such as a hospital ward, the GP, memory clinic, ReMe’s ELR content can be made available to them in a compliant and secure manner. Data Interoperability – With our open api the data in ReMe can be exported to other systems, such as health robots, care planning software and assistive,/wearable/IoT technology and GP care systems. Data security, it’s an issue for everyone. … whether cared for at home and considering providing access of personal life story content to carers or to a care organisation, are a family member with responsibility for the care of a loved one or whether a care facility wanting to use personal care knowledge to better deliver person centred care but are concerned with properly managing the security and proper use of that data. Each country has its own data legislation, such as GDPR in the UK and Europe. But there are consistent standards to which all parties involved in the care process will want to follow to ensure confidence in compliance and peace of mind. EPR, EMR and clinical data now have an even greater need for compliance. And care planning software systems are of course upgrading their compliance processes. But what about the personal data of the person cared for? Their likes, dislikes, key medical issues such as sleep patterns and their current routines, and of course their life story and personal content such as images, entertainment and music? And what of the families wishes regarding how this data can be used and by whom? We call this data Electronic Life Records (ELR) and ReMe’s Activity Based software (sorry, but we love creating new terms such as these two, to define these new areas of care capability), depends on its quality and quantity. This ELR is of course equally requiring of data security, consents and compliance. So, at the request of clients, we’ve added a secure data hosting resource to ReMe, that we call ReMeVault. This not only securely hosts ELR personal data, but also provides processes that engage the family easily, even in a fun way, in the consent provision process, such that a care facilities use of ELR data becomes GDPR compliant. Therefore, with ReMe, care facilities can now be sure of undertaking only consented actions (such as when to and when not to take photographs, who can view content, etc.). It’s easy, requires little or no administration being digitally managed and costs nothing. ReMeVault simply provides compliance reassurance.